Ozark Gateway Region made a presentation to the Horseshoe Bend Chamber last night to a large crowd of wonderful people! The group is interested in seeing their beautiful community prosper and grow. Before making the presentation I drove around for a few minutes and enjoyed the beautiful scenery the community offers. I drove by their two beautiful lakes and thought how visitors would love the chance to enjoy the fun that could be had in the cool clear water! What a great place to visit for a weekend getaway or a weeks’ vacation! I hope that many looking for a great place to visit will consider Horseshoe Bend! Stop by their local marina, Box Hound and enjoy their sandy beach for swimming complete with a platform in the lake for jumping and diving! You might want to rent a boat and enjoy their beautiful lake, it is a great place to relax and enjoy the cool clean water! 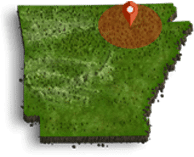 Plan a trip today to a beautiful destination in the Ozark Mountains of North Arkansas!